03.02.2016. Auckland, New Zealand. 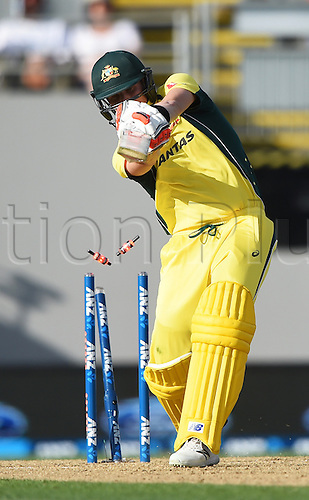 Australian captain Steve Smith is bowled by Henry. New Zealand Black Caps versus Australia, Chappell Hadlee Trophy and ANZ ODI Cricket Series. Eden Park, Auckland, New Zealand.